Margaret Mullin is from Tucson, Arizona. She studied on scholarship at Ballet Arts Tucson with Mary-Beth Cabana and at Pacific Northwest Ballet School, and she attended summer courses at Ballet Tucson and Pacific Northwest Ballet School. She was the recipient of a Thurber Scholarship Award in 2003 and 2004, the 2007 Founding Director Scholarship Award from Angela Whitehill of Burklyn Ballet, and a 2011 Princess Grace Award recipient. 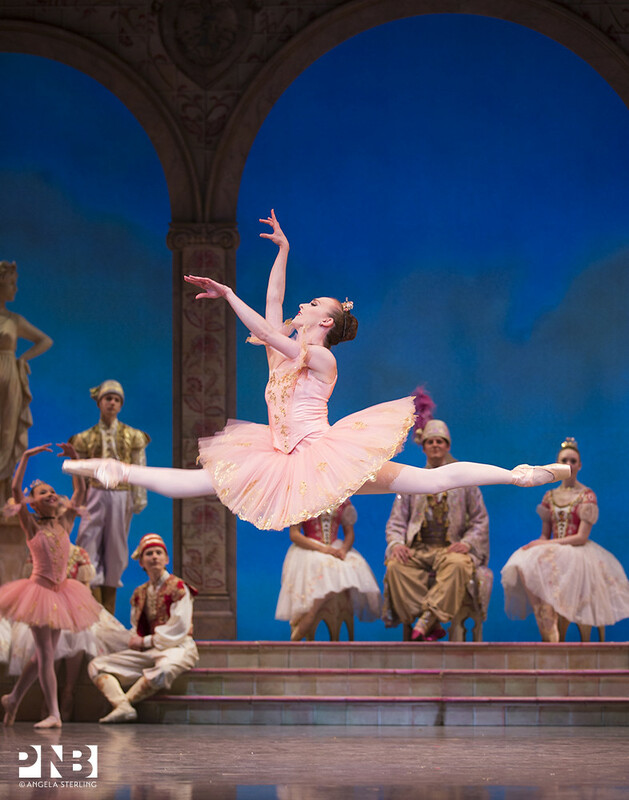 Ms. Mullin joined Pacific Northwest Ballet as an apprentice in 2008. She was promoted to corps de ballet in 2009 and soloist in 2013. Ms. Mullin has choreographed works for Pacific Northwest Ballet’s Choreographers’ Showcase and NEXT STEP. In 2012, she choreographed her first ballet, Lost in Light, for the Company. She has also choreographed works, performed as a guest artist (including a leading role in Antony Tudor’s Continuo), and served as guest teacher for Ballet Tucson and Ballet Arts School in Tucson.